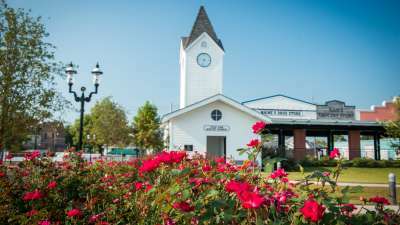 Begin your tour in the west bank community of Westwego; originally a springboard for pioneers headed to the western frontier. First stop is the Westwego Historical Museum located on Sala Avenue in the century-old Fisherman&apos;s Exchange Building. Here you will experience hidden treasures housed in an original early 1900&apos;s General Merchandise Store. It is completely furnished with antique furniture as well as upstairs living quarters. 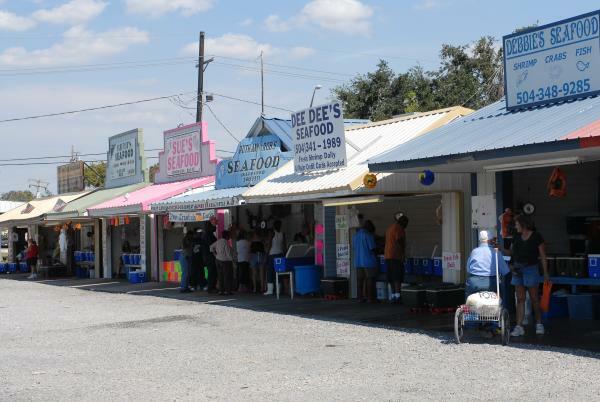 Stop at 4th Street near the Mississippi River and enjoy the Westwego Farmers and Fisheries Market. Here you can shop for produce, seafood and other local favorites. Pick up delicious prepared foods or sip a cappuccino while you stroll through the market. You will find plants for your garden, art for your walls and beautiful handcrafted items. Enjoy Music at the Market every Saturday during regular market hours. 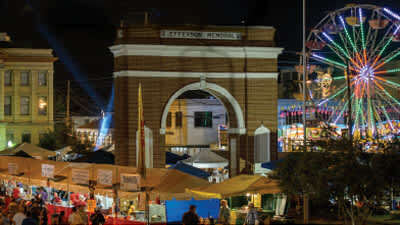 Continue east on the West Bank Expressway or follow the levee to the City of Gretna, one of Louisiana&apos;s largest national historic districts. 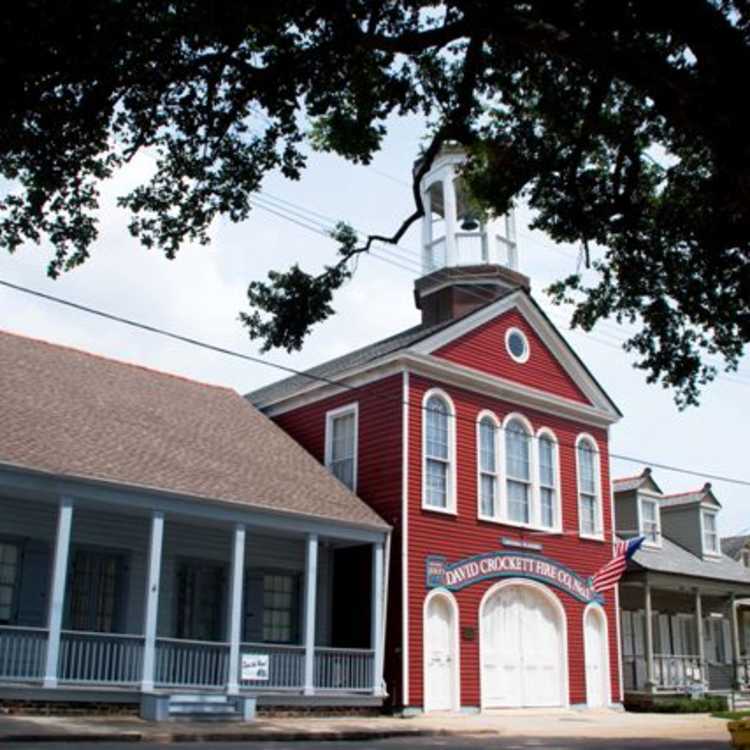 Visit the German-American Cultural Museum that traces the history of the German immigration into southeast Louisiana in the early 1700&apos;s. Next see the David Crocket Fire Company; the oldest continuous active volunteer fire company in the United States with an original 1876 Steam Pumper. Sit in on a blacksmith demonstration at the Gretna Green Blacksmith Shop. 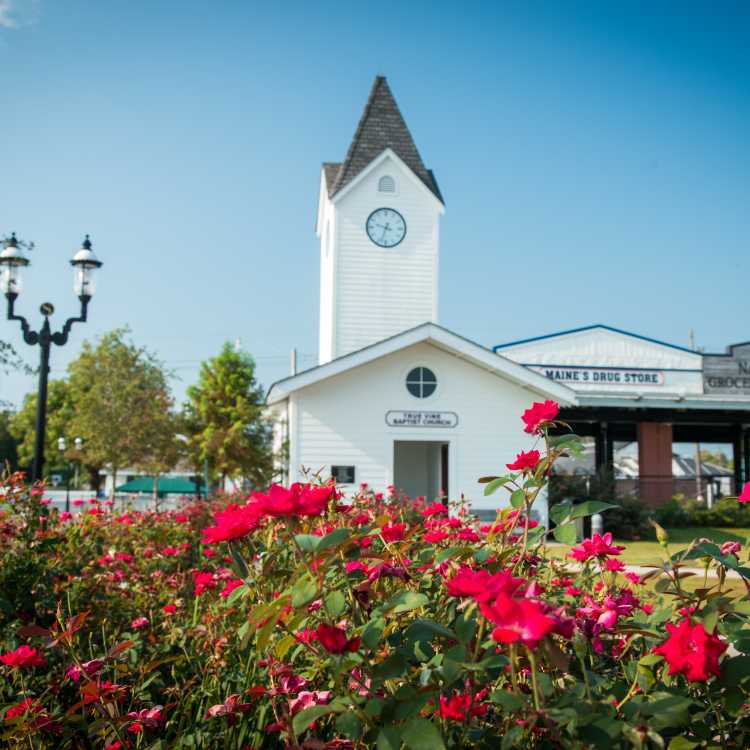 Each February, on Valentine&apos;s Day, you can join in the annual Wedding Vow Renewal Ceremony; or visit the first weekend of October and experience the Gretna Heritage Festival. Walk to the top of the levee and see the riverfront amphitheater; designed for concerts with seating for 650. 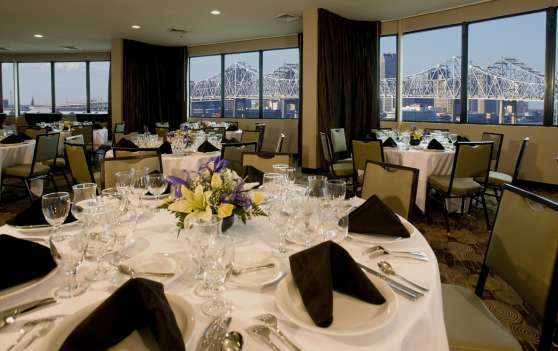 See magnificent views of the Mississippi River, New Orleans skyline and Mississippi River Bridge. You may choose to cross the river via the Gretna Ferry from this location to Canal Street in downtown New Orleans. 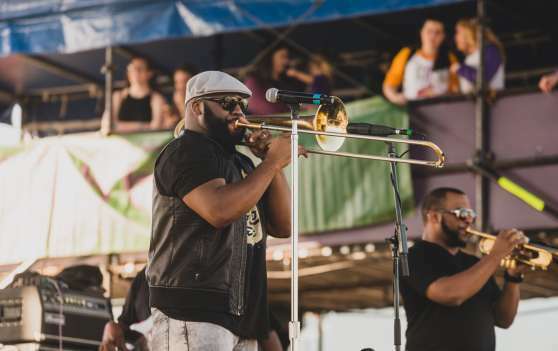 Head to the east bank and stop at Blaine Kern&apos;s Mardi Gras World for a behind the scenes look at the magical world of Mardi Gras. See awesome floats and colorful props as you enjoy the video and tour. Try some king cake, the sweet specialty pastry of the Carnival Season. Next, meet your step-on guide for a tour of the city of New Orleans. 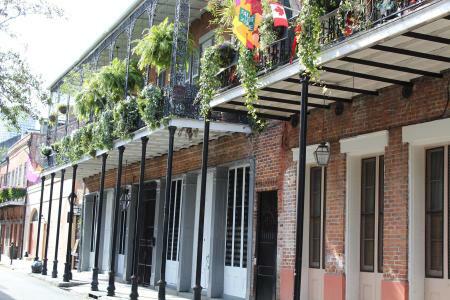 Included in your tour will be the history, landmarks, legends and splendid architecture for which New Orleans is famous. 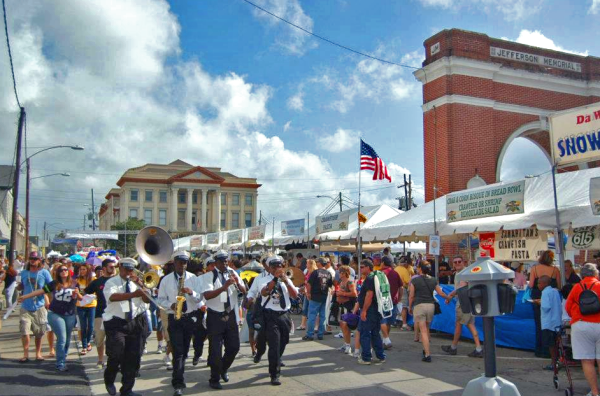 You will see the French Quarter, French Market and river front. Complete your day with a streetcar ride along beautiful St. Charles Avenue, passing local universities, parks and stately mansions. You will see the unusual above-ground "cities of the dead" (cemeteries) and other local landmarks and legends. Interesting and entertaining tours of the cemeteries are available daily. End the evening at one of our award-winning local restaurants. Begin your day with a guided tour of Rivertown. Rivertown sits at a bend in the Mississippi River and is a 16-block area which embraces many restored late 19th and early 20th century structures. Wander through the district and enjoy the Science Complex, NASA Space Station and Kenner Heritage Park. View a show at the educational and entertaining Kenner Planetarium & Mega Dome Cinema. Don&apos;t miss a wonderful photo opportunity at La Salle&apos;s Landing that overlooks the mighty Mississippi River. 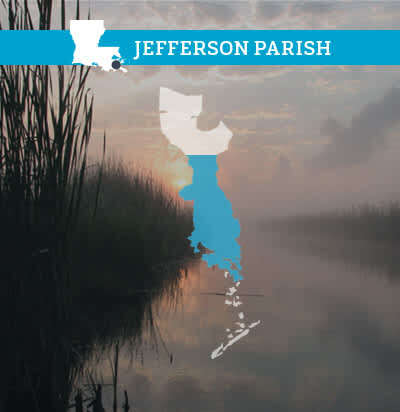 Next stop is Bayou Barataria and the historic town of Jean Lafitte where you can visit a small Cajun village. Before Europeans arrived, Native Americans lived in the region and their burial mounds are still found along the bayous. 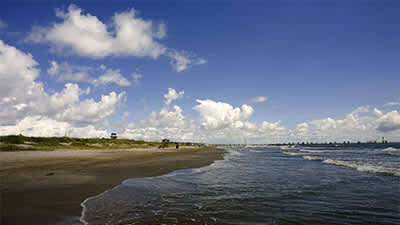 Smugglers and privateers roamed the Gulf of Mexico in early Louisiana and used abandoned Native American camp sites along the bayou to store their merchandise. 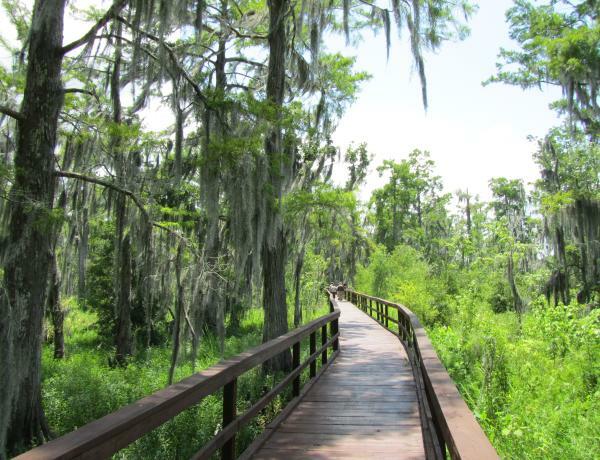 Enjoy the spirit of bayou country with a fascinating boat trip into the Louisiana swamps. Native guides will reveal the mysteries of the wetlands as you observe alligators, egrets, raccoons, nutria and more local wildlife in their natural habitat. 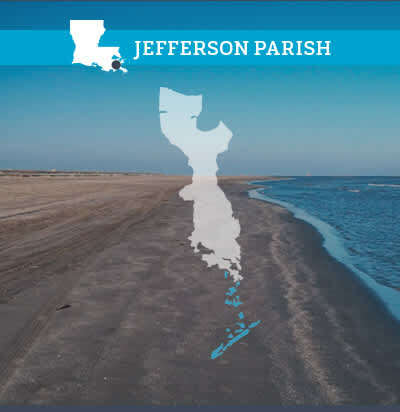 You will also learn about the efforts made to preserve and restore Louisiana&apos;s vanishing wetlands. This is truly an outdoor adventure that you will always remember. 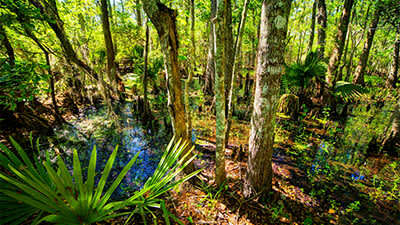 Thrill seekers may enjoy an air boat ride through the swamps. 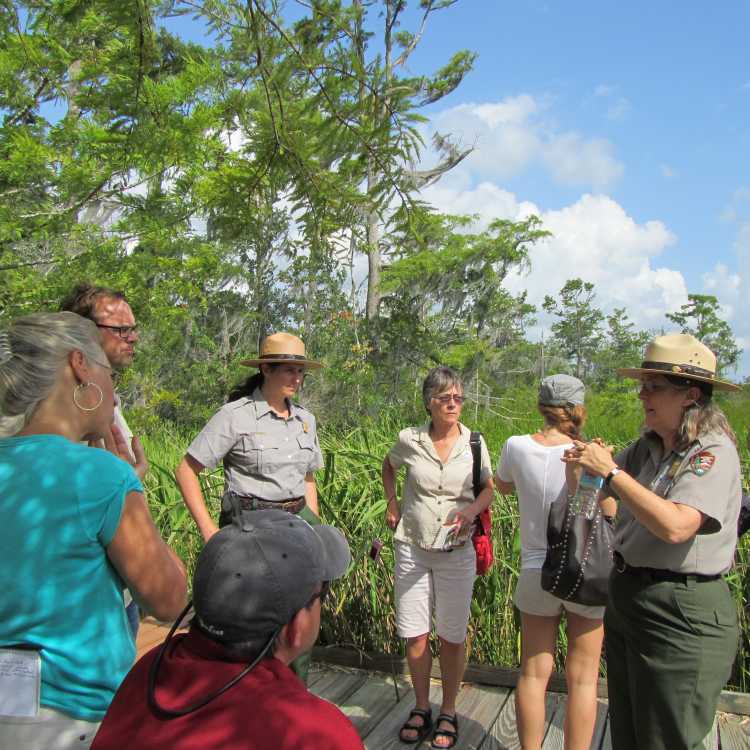 At the Jean Lafitte National Park and Preserve, park rangers will give you a guided tour and tell you about the wild life. For a more in-depth look, stroll the boardwalk through the swamp. The park is a perfect location to enjoy a picnic or box lunch. 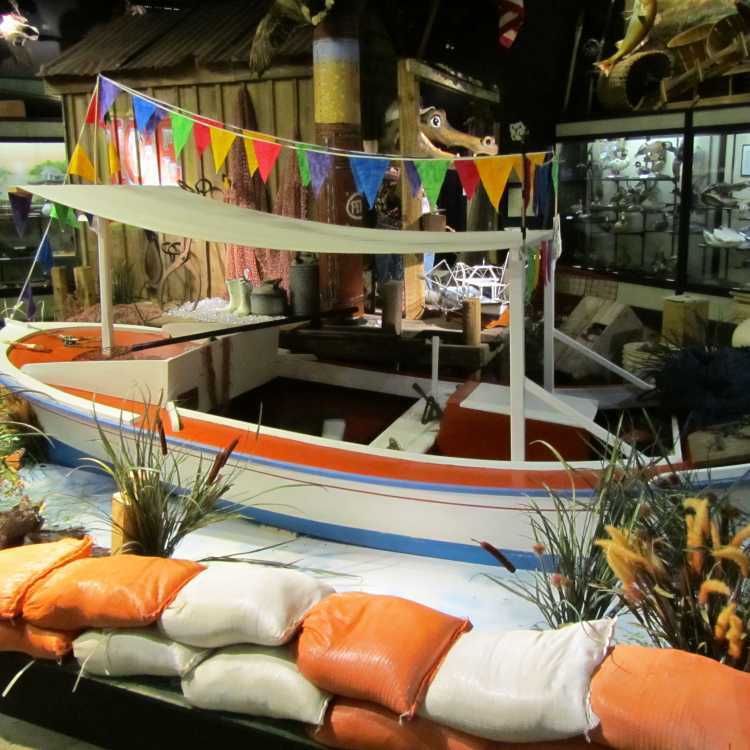 Be sure to visit the Louisiana State Fisheries Museum, once the one room school house of the bayou. A "must stop" is the Jean Lafitte Tourist Welcome Center to see the fantastic Legends of Jean Lafitte animated marionette exhibit. This unique exhibit tells the story of Louisiana&apos;s gentleman pirate, Jean Lafitte, and the events leading up to the Battle of New Orleans in twelve working dioramas. 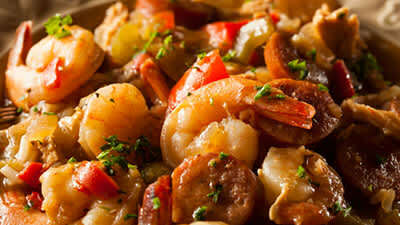 Stop at Bayou Barn in Crown Pointe, LA; a rustic setting where you can enjoy Cajun music, dancing, food and fun. The facility is available for group parties, Cajun Fais do-do&apos;s and day long activities by reservation. 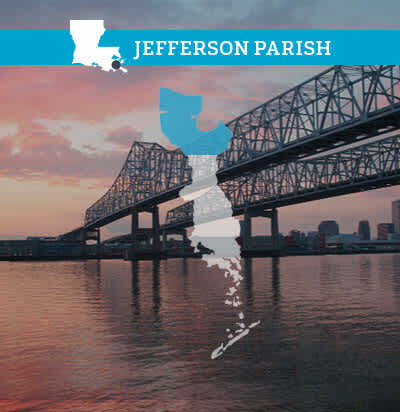 Complete the evening with a shopping excursion at one of our four major shopping malls, dine in one of Jefferson Parish’s award-winning restaurants or cheer on the New Orleans Baby Cakes, our AAA baseball team. Begin your day with a visit to Audubon&apos;s Aquarium of the Americas and/or Entergy&apos;s IMAX Theater located at the foot of Canal Street. For a unique experience, visit the nearby Audubon Insectarium, located in the U.S. Customs House. This is America&apos;s largest museum dedicated to insects. Next visit the National World War II Museum and be sure to check out the exciting production "Beyond All Boundaries," produced by Tom Hanks, in the remarkable Solomon Victory Theater. This moving 4-D cinematic experience takes you on a journey which incorporates theatrical special effects, cutting edge digital technology and original World War II footage. 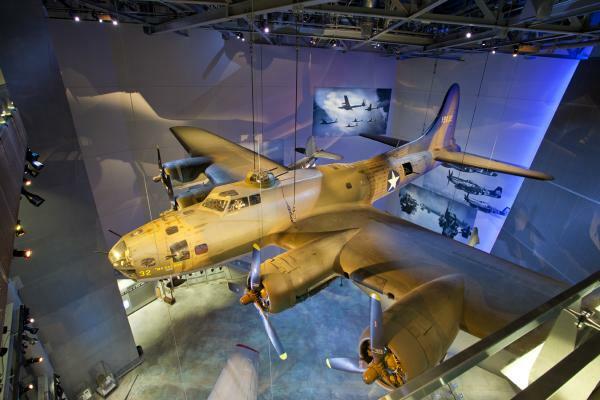 Enjoy a live theatrical performance and dinner in BB’s Stage Door Canteen at the WWII Musem. Their musical performances are a salute to the WWII era artists that entertained the men and women on their way to war. Their shows brings to life the war years with songs, dancing and the humor of the war era. End your day at The American Sector Restaurant; a casual dining restaurant with original cuisine based on vintage American comfort foods created by award-winning Chef John Besh. It is not necessary to pay to enter the museum to dine at the restaurant. The restaurant is open 7 days week.